Is Your Bathroom More Like a Battlefield? 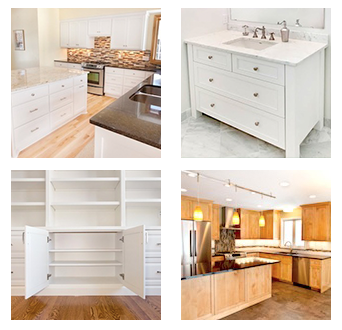 Custom Cabinets Can Help! From haircare products to cleaning solutions, our bathrooms are home to innumerable items that we need and use every day. And if your bathroom caters to your whole family, it’s possible you may feel like your bathroom is more like a battlefield. 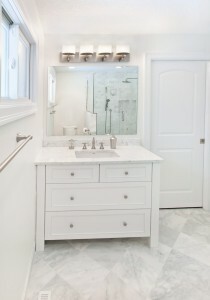 Take back control of your bathroom, and the elements inside it, by working with a custom cabinet maker and designer. Together, you can bring peace, calm and order to your current chaos. Have as much storage as you need – Bathroom storage comes in many shapes and sizes, from vanities and cabinets to open shelves and baskets. Your designer can help you identify areas for increased storage, as well as creative ways to fill other spaces to truly personalize your room. Lay out your space for maximum efficiency – By working with a cabinet designer, you get the chance to talk through what you use your room for and what design solutions are available to you. 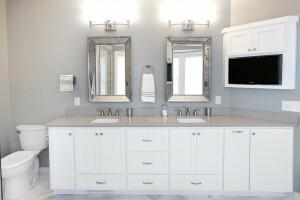 For instance, do you really need a double vanity, or is it just that you need the sink separate from where you get ready? Add in customized organization – Not only does custom-built cabinetry provide you with storage built specifically for your space, but it also allows you to add in storage designed specifically for your items. For instance, you can vary the height of shelving to fit taller items such as hair product bottles. You can also add holders for hair dryers and other styling tools within the cabinets themselves, which also helps with keeping cords from getting tangled. If this sounds like a dream come true to you, know it can be! Give us a call today to talk about turning your bathroom disaster into a delight. From powder rooms to master bathrooms, we know how to design bathroom cabinets that help maximize space and clear up clutter. Give us a call at 952-737-7088 or send us a quick email . 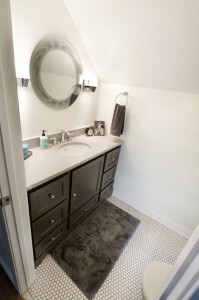 to request an estimate for your bathroom remodel.